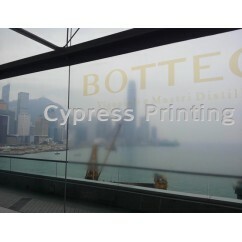 Application: apply on glass or window to have transparent or translucent effects for both indoor or outdoor use. Reverse printing (adhesive side on graphic) is available. Product Features: * Graphics printed transparent sticker with glossy lamination (transparent effect..